Congratulations to Dr. Fred Remillard who was named Pharmacy Association of Saskatchewan Pharmacist of the Year for 2016. The PAS Pharmacist of the Year Award is presented in recognition of a pharmacist who performs an outstanding single deed or long term service, as to bring credit and prestige to the profession of pharmacy. Dr. Remillard has had a distinguished career as teacher, researcher, administrator and clinical pharmacist, particularly in the area of psychopharmacology. 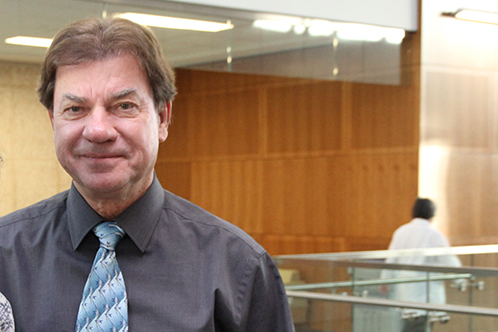 He has been part of the College of Pharmacy and Nutrition since 1983. In addition to his regular faculty obligations, and his clinical practice at the Dube Centre, he has held numerous administrative positions at the College and he has recently completed an 8 year term as the Associate Dean of Research Graduate Affairs.